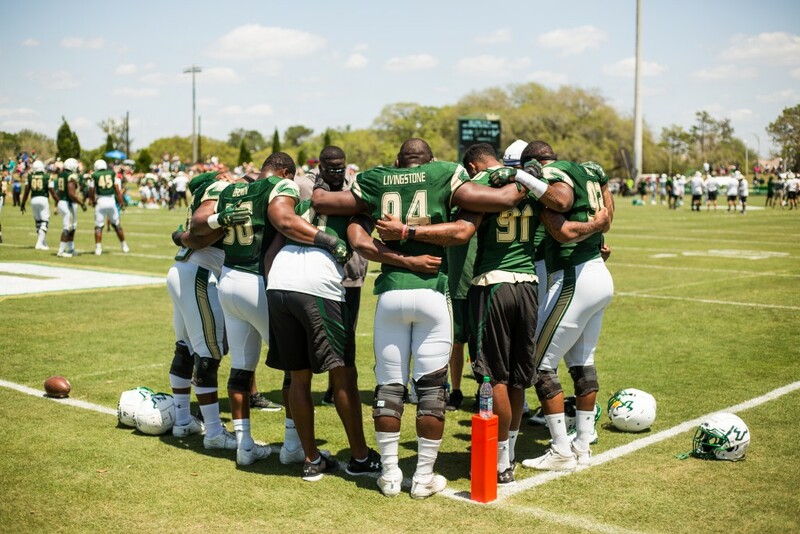 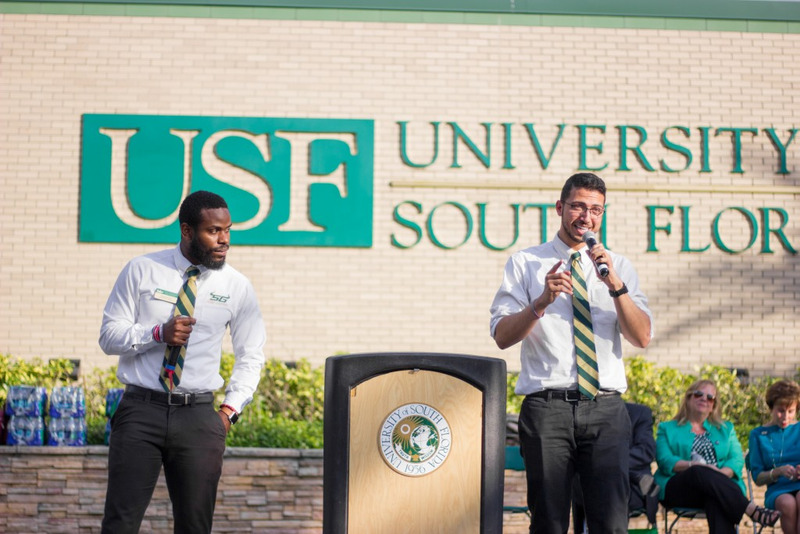 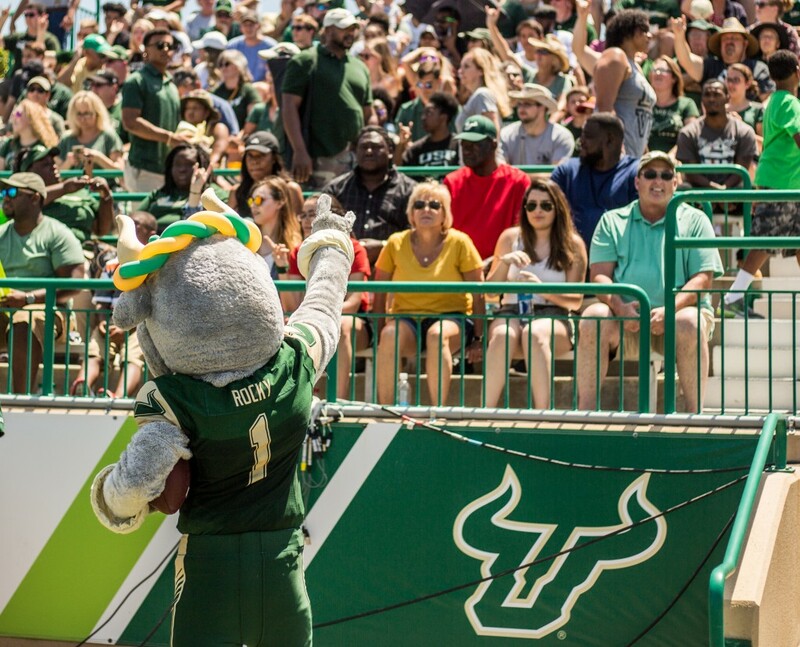 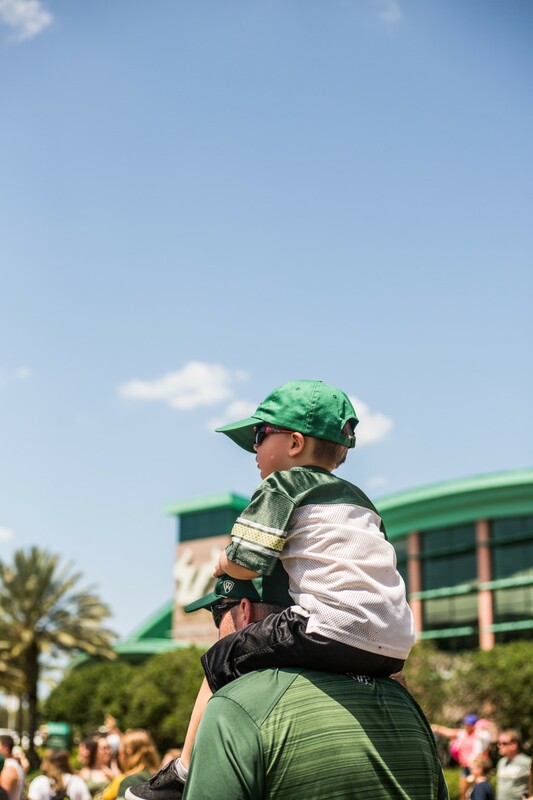 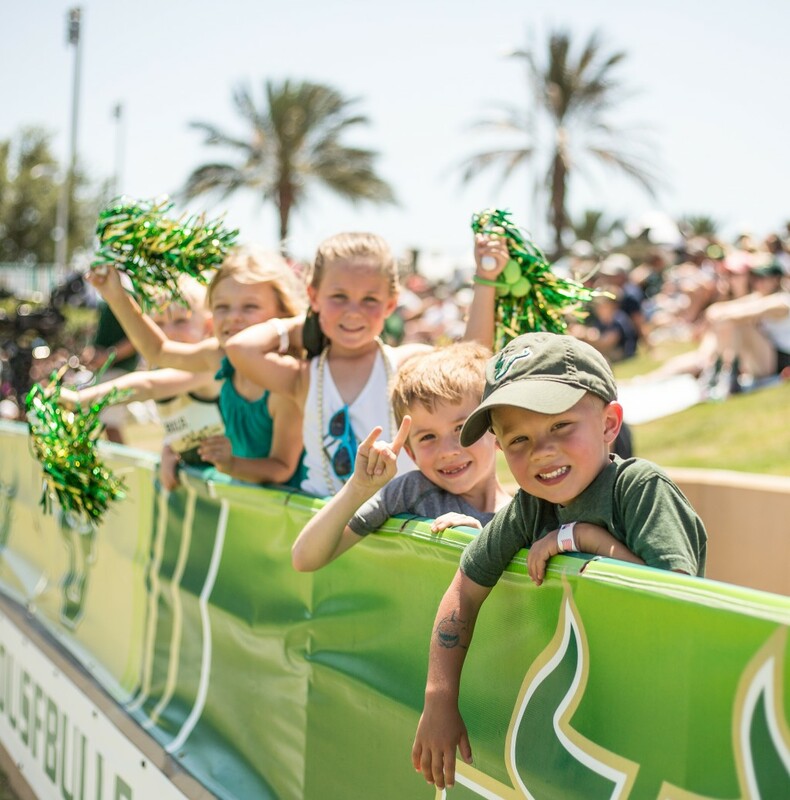 On Saturday afternoon, USF football fans gathered in Corbett Stadium in anticipation of the fall football season. 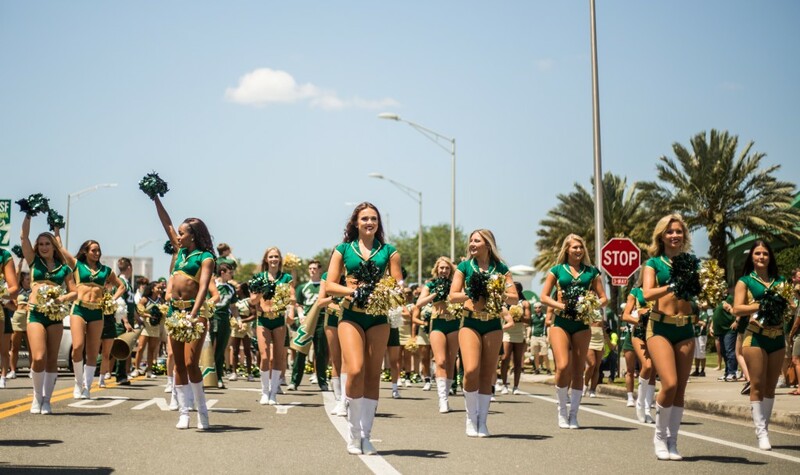 Along Elm Drive, in front of the stadium, food trucks, activities and performances lined the street for fans to enjoy. 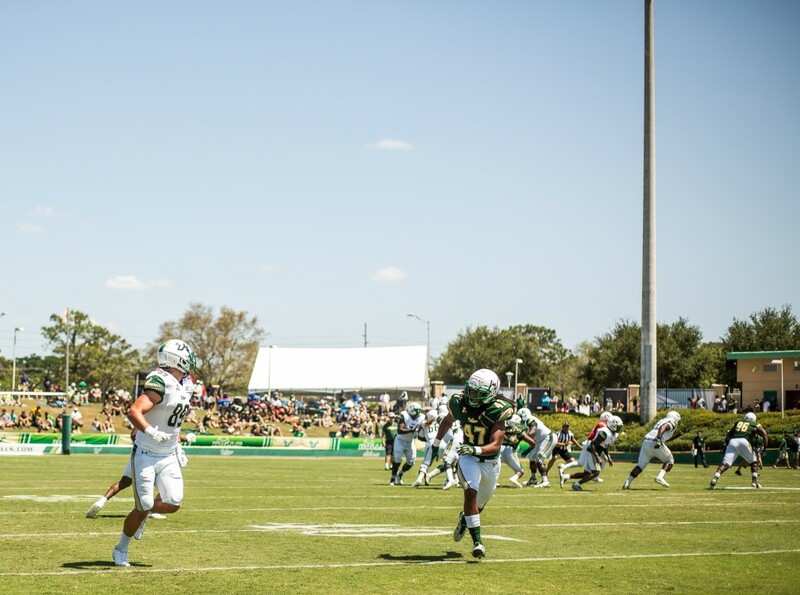 During the game, USF football scrimaged offense against defense, with the offense winning 56-55.